Amazon now has the Cloverfield Blu-ray on sale for $16.95 - only 96¢ more than the standard DVD! And Tower.com has it for $13.86!!!! 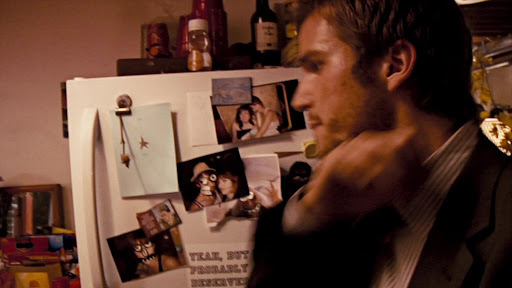 Harvey Dent noticed that the pictures on Rob's refrigerator, are the same ones from Marlena's MySpace page, and from Jamie's videos. The Holomove ARG turned out to be for Microsoft Visual Studio - not FRINGE as initially suspected. JJ Abrams will be at Comic-Con on Saturday July 26th for FRINGE. There will also be a LOST panel on Saturday, where the new LOST ARG will launch. There will be an adult movie spoof titled - Cleavagefield. "Check out these monsters!" The 4th bullet point is way old news. We made that connection on unforums when only the trailer was released. Here's the thread. lol, the adult movie sounds interesting, and i'm only 15! i'd watch it just for the cloverfield relation, lol. just make sure my parents don't know! ...how is "Slusho" being misinterpreted as offensive??? What do they think it is? There's a guy in my neighborhood who has "6T9N" as his plate...and "Slusho" is offensive?? ?